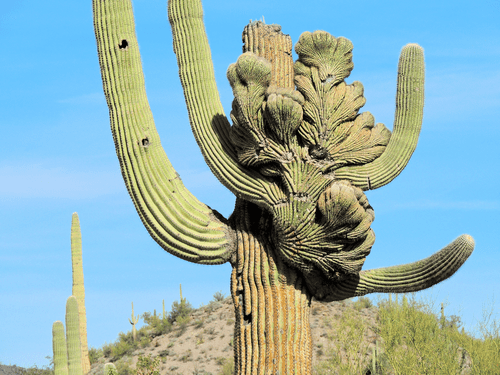 The maximum punishment associated with the destruction of native plants is a class four felony, according to 3-932 of the Arizona Revised Statutes. "A person commits theft of protected native plants if, without the expressed consent of the landowner, the person knowingly removes or destroys any protected native plants from private or state land," according to 3-932. "Theft of protected native plants with a value of: One thousand five hundred dollars or more is a class 4 felony." 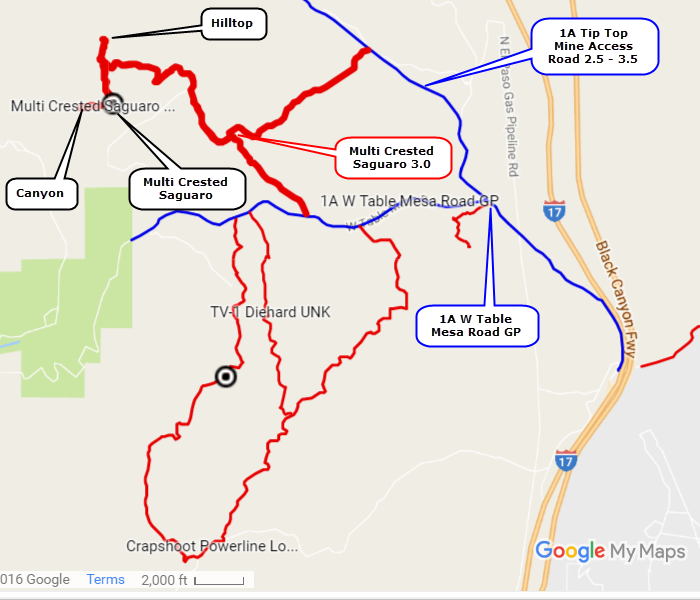 This trail is an amalgamation (look that up in your Funk and Wagnalls) of roads in the Table Mesa area as a way to lead you to a few interesting spots, especially the multi crested saguaro. These are very rare so please treat it with respect. 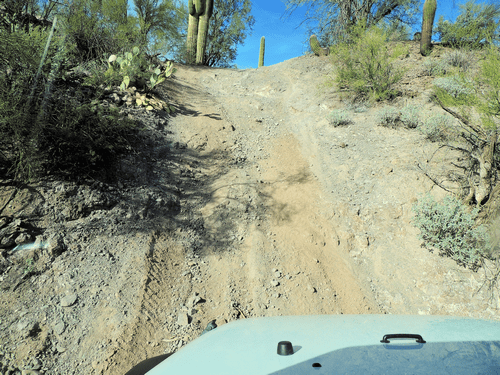 ​Roads east of Agua Fria River are easy 2.0 runs. Roads west of the river have loose and boulder strewn hills that earn a 3.0 rating. All attractions are west of the river. The north spur ends on a hilltop and offers nice views of the general area. The south spur is where you will find both the saguaro and the canyon. 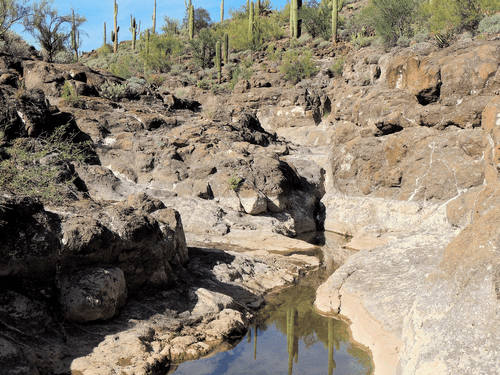 This is not a serious canyon, but is worth a look after you see the saguaro.